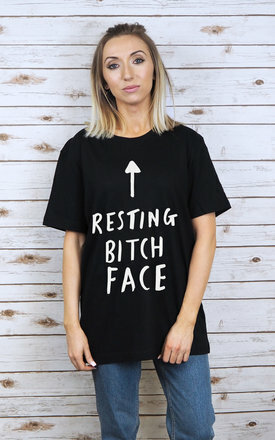 These sassy, slogan T shirts are suitable for anyone with RBF syndrome! 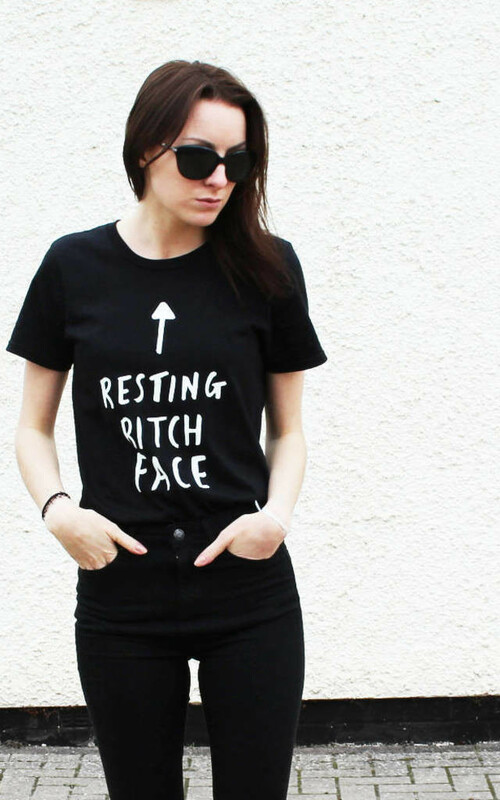 These tees are unisex for a loose, relaxed fit! Wear tucked into high waisted jeans or size up and wear with leggings. 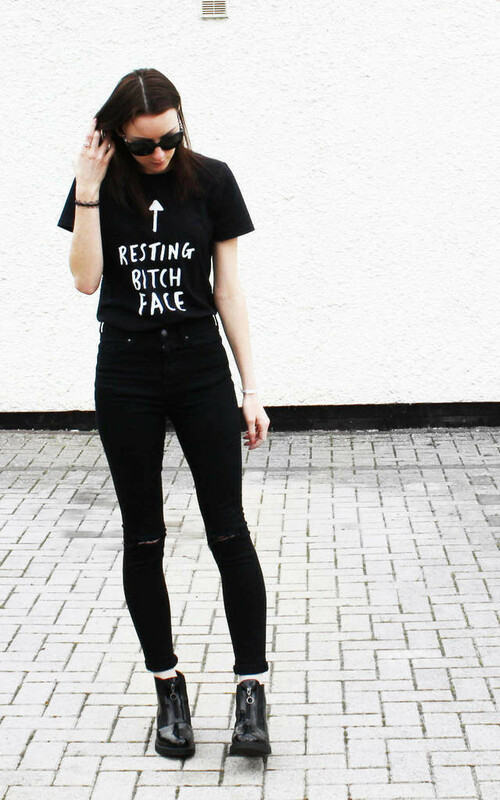 As seen here on Holly and Fashion Blogger Robyn from Phases of Robyn - both wear a size Small.